Blogging can be one of the best ways for small business owners to educate their audience about their products and services, while at the same time showcasing their point of view and expertise. But if writing doesn’t come naturally to you, the thought of creating regular blog posts can make some entrepreneurs shut down at the very thought of it. Here are some blogging tips to help you with creating regular, meaty content for your readers that will draw them toward your small business. Hire a Writer. If you know for sure that creating blog posts isn’t something you enjoy or do well, then have a copywriter do them for you. A copywriter knows the ins and outs of good blog posting, they enjoy the research that it takes to keep the topics pertinent, and they love allowing the words to flow out their fingertips. A good copywriter will have a discussion with you on a regular basis (monthly, quarterly) to learn what you’d like to see discussed on your blog. They will then write your blog posts ahead of time so these mini-articles (generally 500 to 800 words) can be scheduled ahead of time. Copywriters try to write in the voice of their employer and make the points they have learned from the business owner that he or she finds important. Graphics capture the reader’s interest. Use one picture at a minimum; more as they make sense. Topics can be the biggest challenge. Keep a 3×5 spiral bound notebook in your pocket or purse and jot down topics as they occur to you. Or use a Notes App on your phone for jotting down ideas. Then pull out your notes when it’s time to write or send ideas to your copywriter. Another idea is to take note of topics you read in your industry publications and email newsletters, and write commentary on the topic. Post your Blogs or ask an admin to post them for you. Writing the blog post is the next, natural step after you’ve learned the key elements. Know Your Audience. When you begin to write, keep one individual in mind and write to that person without actually using their name. Titles. You may not have a second chance to get the reader’s attention if your title is blah. And if you don’t use relevant Keywords in the title, you’ll lose the SEO value of the article because the search engines won’t index it properly, and your prospects won’t be able to find it. For example, the title, “What’s Your Policy?” doesn’t use any keywords that would mean anything to any particular industry. But if you changed your title to “What’s Your Dental Office Policy on Patient Cancellations?” then you’re being very clear as to who you’re trying to reach as well as what the topic is. There are two sets of keywords being used in this title: 1) dental office policy, and 2) patient cancellations. Now you have a better chance of being found by people searching for information on dental patient cancellations. The Body. Weave your keywords into the first paragraph and then paste a copy of them at the end of the page to remind you to weave them into the last paragraph. Tell your story, or teach your how to’s, or share information in the body of the blog post. If you have a sense of humor, inject it. People love getting to know you and humor is a great way to captivate an audience.Use a style that appeals to your audience. They will recognize if you talk their talk. Make your point quickly before they stop reading. People will scan your post first with their eyes and if bolded words and bulleted points capture their attention, they’ll come back to read. Don’t use too many hyperlinks. One or two are acceptable. Action Step. You’ll want to ask them to take some step, such as posting their comments below the blog post or signing up for new blog notifications so they never miss any of your blog posts. This will help you build a list of followers who are interested, and who you may gently market to. Blog Templates. Another way to produce great blog posts is to use fill-in-the-blank templates. Hub Spot, an inbound marketing service company, provides some for free. Otherwise, you can simply research “write a blog templates” on the Internet to find some that suit you. We’d like to think that our blogging tips in this article might be precisely the help small business owners like you need. Won’t you post your comments below and then sign up for Strategic Marketing Tips for more marketing ideas? Hi Jean- Although I agree that blogging is a great way to boost your business, a lot of small businesses either do not have the time or the money to expand their online presence. Is the online arena a must and if so, how can small business owners realise this? There has been a major shift in how people make buying decisions over the past couple years. Since we can easily turn off or skip over traditional advertising messages, we now go searching online for information, videos, and reviews before we make purchases. And in the B2B world, even though we may have been referred by a friend, we still turn to the Internet to do our research on the person or company we’re thinking about doing business with. In order to compete these days, and in order to be found online by the people who are searching for what we sell, we need to make a concerted effort to create an online presence. And creating content is an important part of the puzzle. I recommend you download the Free Ebook, Total Online Presence, which will help you understand what’s needed to accomplish this. Great blog Jean! I forgot to put the keywords at the end of the blogs I have been writing. I will make adjustments in that regard. I want to thank you for helping me to start writing my Pittsburgh house cleaning blog. 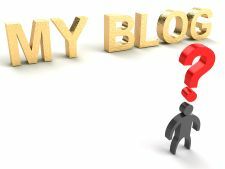 I had not written a blog for quite a number of years because I was not sure what to write about. You cleared that up for me helping me to create content themes for an entire year. I actually look forward to what I can come up with for each blog article. You also taught me that I can write blogs to be posted at a later date, automatically, so I can write and schedule them when I have time to, not scramble around at the last minute trying to put something together. I am looking forward to opening up another inbound marketing channel in the near future. God bless. Hi Jim, thanks so much for your comments! I’m so glad you are on board with blogging and that you now have a strategy in place for getting it done. As I mentioned in the previous comment, marketing has changed dramatically in that people are making decisions based on the research they’re doing online. When you have the answers to the information they’re looking for, it’s you they’ll turn to when the time is right.